“Probably just money for college,” Big Brother replied. I nearly choked on my toothpaste. But my older son does have a point. After all, he’s a freshman in high school and college is beginning to be a real thing to think about, rather than just an abstract idea. 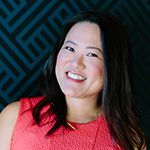 Gift cards are always popular among teens and tweens, and this year California Treasurer John Chiang announced that the Golden State is the first in the nation to offer gift cards to help families pay for college. 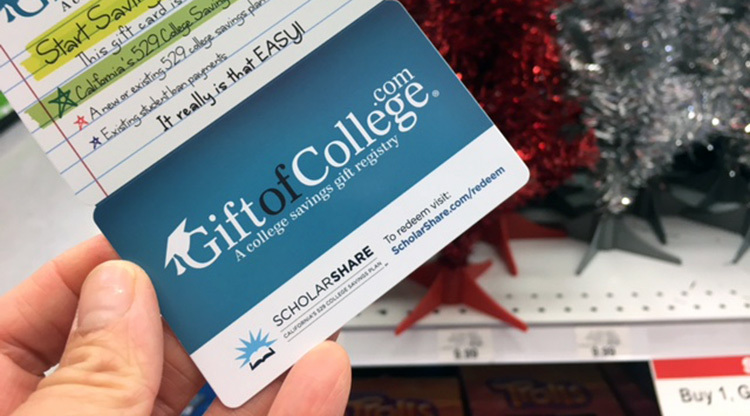 So in addition to making online deposits, friends and relatives can help their loved ones save for higher education this holiday season by giving a new ScholarShare college savings gift card. 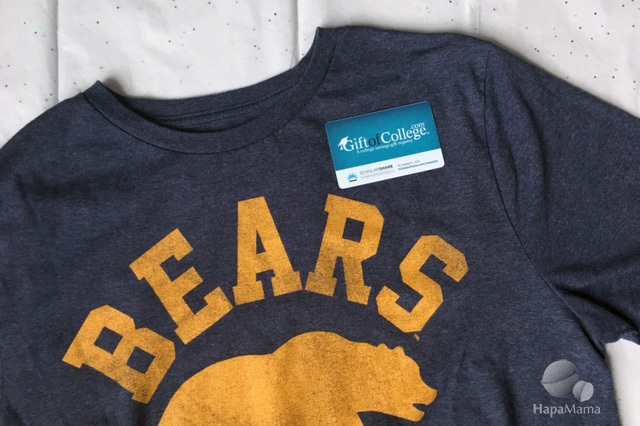 Think of cute ways to present the gift card, such as pairing it up with a t-shirt or pennant from a favorite university . Physical or digital gift cards are available at California-based Toys “R” Us or Babies “R” Us retail stores or online at www.ScholarShare.com. And if you’re thinking of giving the gift of education this holiday season, don’t miss out on the one-day opportunity for a matching contribution. To be eligible for the matching promotion, California families will need to open a new ScholarShare College Savings Plan account with at least $50 – to be contributed and invested at the time the new account is opened – and enroll in the automatic contribution plan for the new account with at least a $25 per month contribution. The matching deposit of $50 will be made to the eligible ScholarShare 529 account on or before 11:59 p.m. PST on June 30, 2017. There is a limit of one matching deposit per new ScholarShare account opened for a new beneficiary. Additional details about the matching promotion, including the complete terms and conditions, can be found at www.ScholarShare.com/holidaymatch.